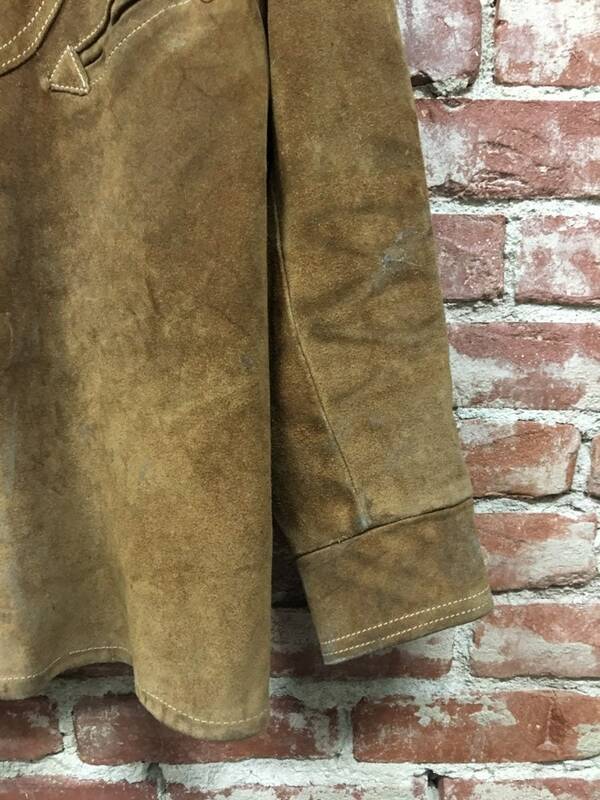 By the New York designers of the seventies men’s Schott Perfecto Motor Cycle Jacket. 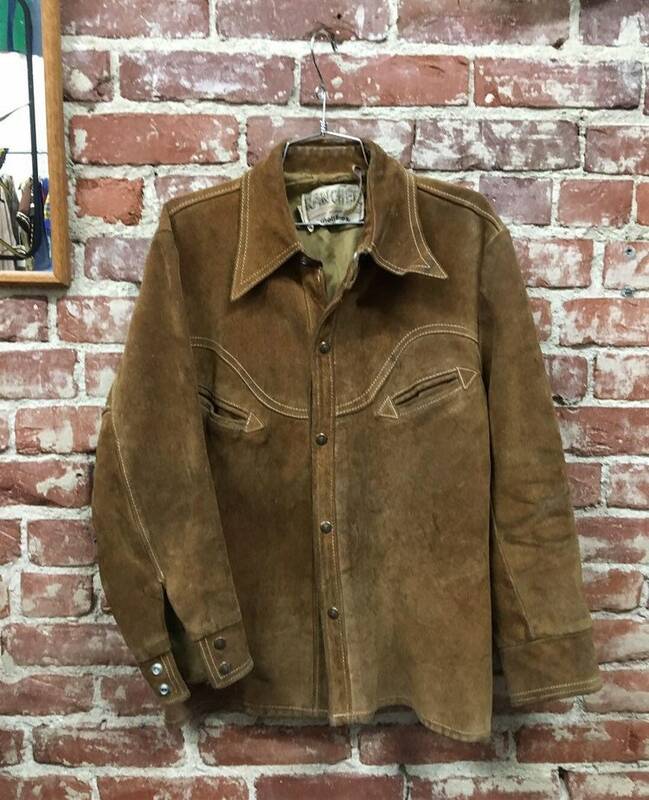 This is beautiful men’s jacket is from their ‘70’s Ranch wear line. 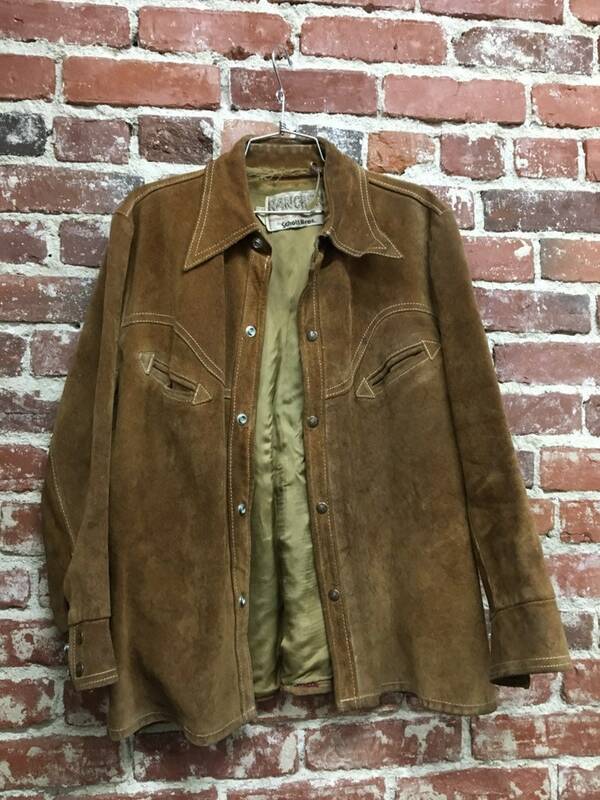 Shirt cut men’s suede jacket. 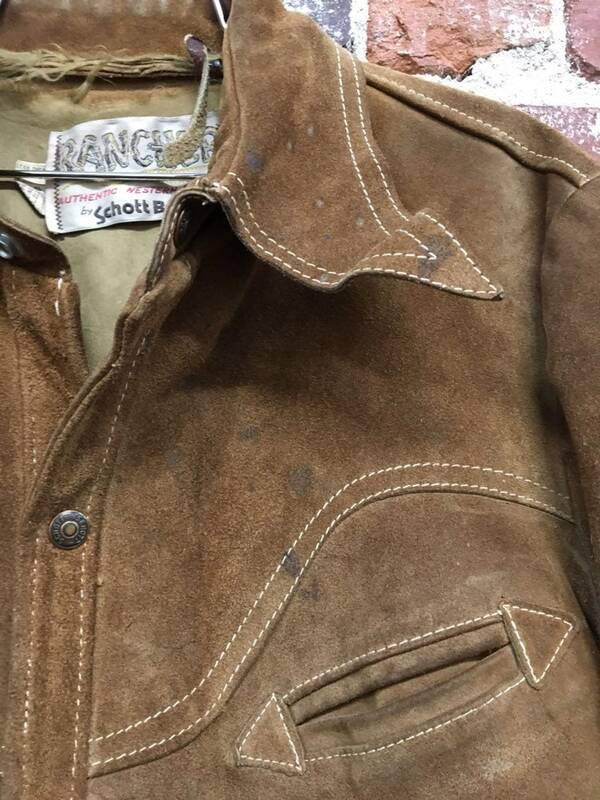 So much craftsmanship went into this as they are known for. 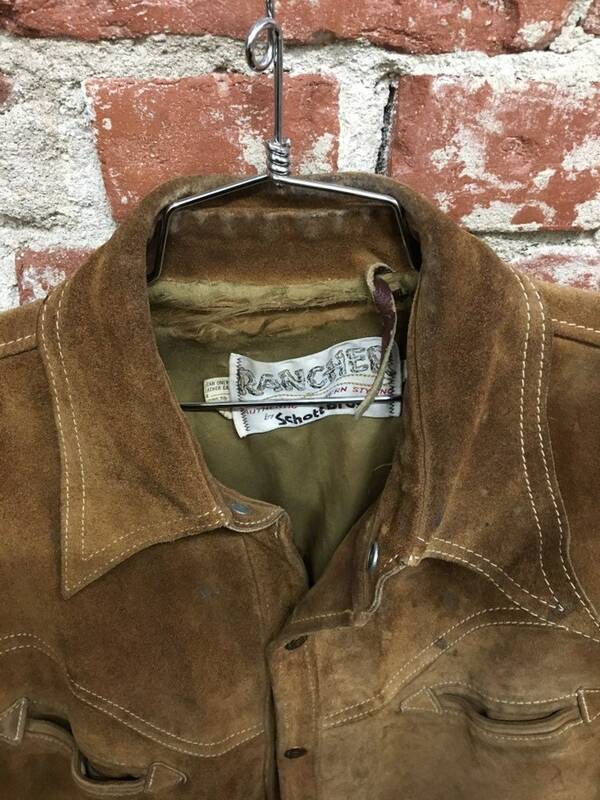 It is worn in perfectly. 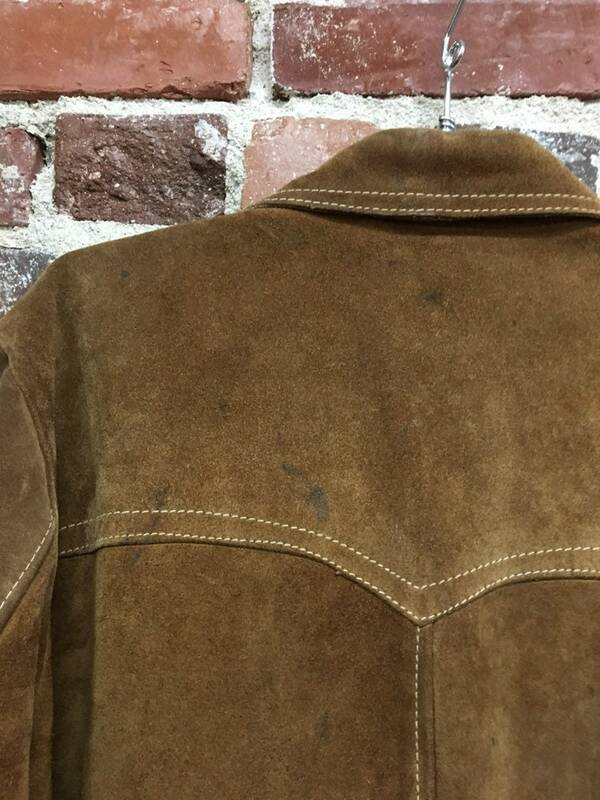 There are stains on the suede but even the stains look cool on this jacket. 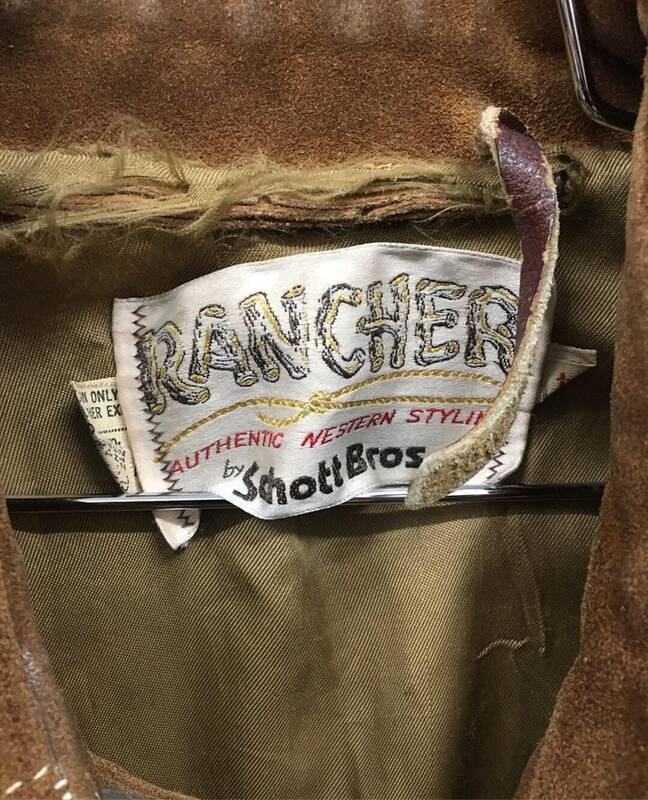 The lining is torn on the inside of the collar. See photos. 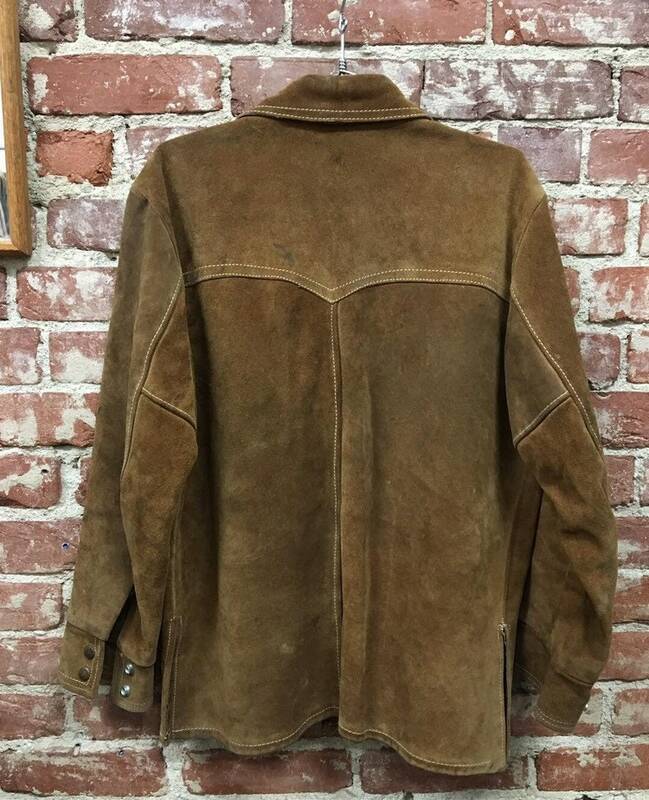 This is the jacket for the guy that wears vintage and loves Schott. 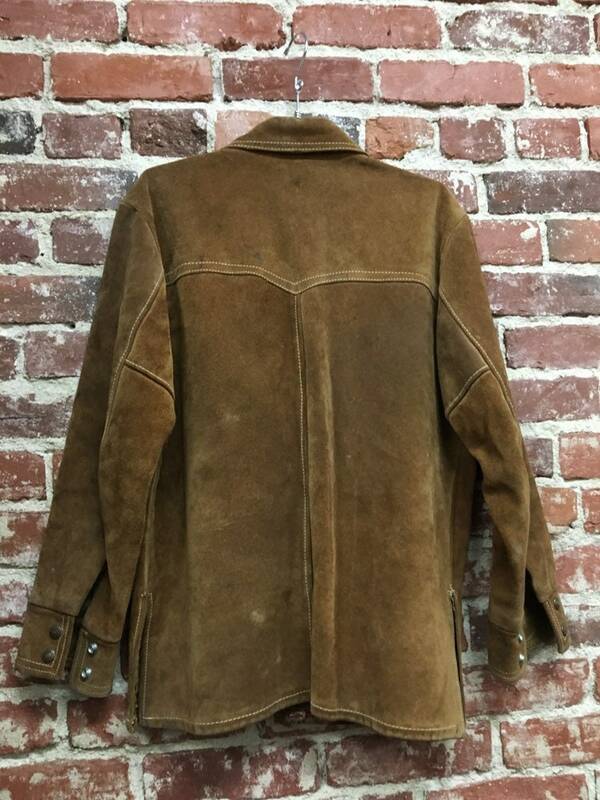 Please do not purchase if stains on a vintage suede jacket that is half a century old bothers you.